Art No. 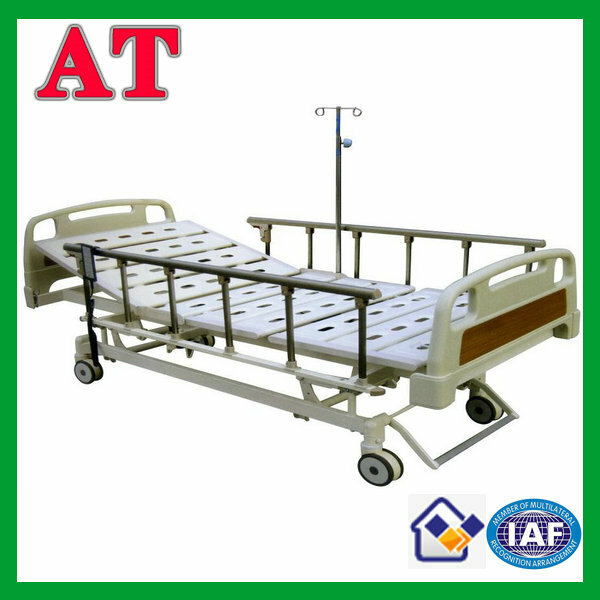 :R2908SB-r Product size:215*90*46-76cm Material:top Cold rolled sheet,frame and feet made of steel tube,after Non pollution Physical Treatments,electrostatic spraying,bed head made of top pp. 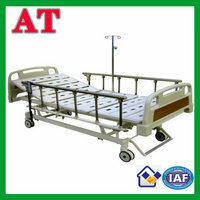 Description:TOP DC Machines(optional:storage battery),no noise,load bearing:250KG,centrally controlled,Silent,high strength & high wear resistance castors,aluminum railings(Positioning up and down),easy for patient,with dinning table,one piece infusion pole,four jack for pole,four drain hooks.option for function and color for parts.